Deepen your understanding of education from early years to lifelong learning. You can tailor your degree to match your career aspirations by choosing one of our new specialist pathways. This course is available as a Joint Honours degree. If you do not achieve the typical entry points required, you may want to consider studying this course with foundation year. Gain a broad understanding of education from early years to lifelong learning before pursing a career in teaching or education more widely. You will benefit from a strong focus on social equality, international learning opportunities and the chance to take a specialist pathway. The Education Studies degree opens doors to a wide range of careers, this course explores the role of education in society and examines how moral and social issues shape learning. You will be provided with a solid understanding of education and educational equality, bringing together perspectives from history, psychology, sociology and philosophy. You will attending an intellectually stimulating course that will make you an authority on current education policy and practice. You can choose to build on this core knowledge by following one of our specialist pathways in Special Educational Needs and Disabilities (SEND) or Teaching English to Speakers of Other Languages (TESOL). Even if you choose not to study a specialist pathway, you’ll still undertake a 12-day work placement in an education setting during stage two of the course. This course has an international focus so we offer exciting opportunities for you to travel abroad. Our programme of international fieldtrips has given our students first-hand experience of education in countries such as Morocco, The Gambia and Poland. We also participate in the Go Places, Go Further scheme, which enables you to apply to study in the Netherlands as part of your course, bringing a new dimension to your CV. These international options provide you with valuable insights into different contexts and levels of educational provision as well as critical issues surrounding economic, social and cultural development. This pathway has been developed in response to a growing demand for high-calibre trained staff who can work with learners with special educational needs and/or disability. You will explore a range of SEND practitioner roles and the ways that government policy impacts upon such roles, in and out of the classroom. Our strong links with schools and colleges – both special and mainstream – mean you can learn from leading professionals working in the SEND field. This pathway is ideal if you want to focus on English language teaching for learners in a variety of contexts. It equips you with the skills to work with English as an Additional Language (EAL) pupils in a primary or secondary setting; to work abroad as an English as a Foreign Language (EFL) teacher; or to work as a teacher of English for Speakers of Other Languages (ESOL) in an adult or community environment. You will undertake observed teaching practice to give you vital experience and enhance your employability. We introduce you to various approaches for teaching grammar, vocabulary, reading, writing, listening, speaking and pronunciation. You’ll also look at lesson planning, syllabus design and assessment. In addition you’ll be encouraged to reflect on your own knowledge and understanding of the English language. You will be taught by influential researchers and published authors whose work is shaping the debate about the future of education. Their research in education includes topics such as inclusion, diversity, social equality, online learning and pastoral care in primary, secondary and higher education. If you complete this degree and meet the entry requirements for our PGCE Primary, we will guarantee you an interview during your final year of undergraduate study (subject to places being available). Places on our PGCE are highly sought after, so we recommend you apply as early as possible once UCAS opens. 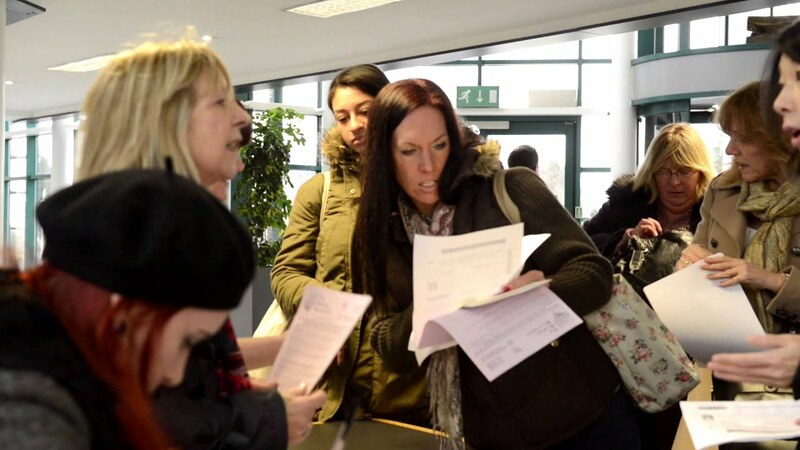 The best way to find out if studying at Derby is right for you is to experience an Open Day. Get a feel for the city and campus, tour our first-class facilities and see where you could be living. You will be taught using a variety of methods from directed study, lectures, seminars, and tutorials. If you choose not to follow a pathway you will still be undertaking a 12-day work placement in an education setting. You won’t have to take any exams as you will be assessed through course work, including essays, presentations, portfolios, reports and case study analysis. We usually consider an A-level in General Studies as a supplementary qualification. A good application/performance will be taken into account if you do not meet the criteria/offer conditions. Please Note: Whilst you are not required to obtain a Disclosure and Barring Service (DBS) certificate before starting this course, you will be required to obtain a DBS certificate before you start any placement where you will be working with children, young people or vulnerable adults. A DBS certificate is a compulsory element of the SEND and TESOL pathways. If you are unable to obtain a DBS certificate you will be unable to complete any of the specialist pathways (in SEND or TESOL) and your placement will need to be located where there is no legal DBS requirement. Payment for the DBS initial process is included in your course fees. Our entry requirements for this course should be read together with the University's general entry requirements, which details subjects we accept, alternative qualifications and what we're looking for at Derby. Further information about our fees and support you may be entitled to. Full-time students applying to start in September should apply for this course through UCAS or you can apply directly to the University for an undergraduate course if you’re not applying to any other UK university in the same year. Part-time students should apply directly to the University. As BA (Hons) Education Studies graduate you will discover wide-ranging career opportunities in fields relating not only to education but also to social care, health care, careers and guidance, and the voluntary sector. Our graduates are now enjoying success as higher level teaching assistants, welfare child protection officers, early years practitioners, care assistants, and community learning facilitators. Depending on the specialist pathway you choose, you could also progress to roles such as special educational needs co-ordinator, SEND teacher or SEND manager or as a teacher specialising in English as a foreign language. Throughout the course, we place great emphasis on improving your employability. Our end-of-year symposium Voices of the Near Future encourages students to showcase their future aspirations and explore the many career directions available. Please note that this course does not lead to Qualified Teacher Status. However, if you’d like to train to be a teacher, you will be guaranteed an interview for our PGCE Primary if you meet the entry requirements. You could also apply to study our PGCE Post-14 (Education and Training) or enhance your career prospects further still by continuing to study with us at masters level.